Nike has launched a lot of cool streetwear and the new Air collection is right up there. The Air collection contains cool products, let’s see what it has in store for us. Rock your football look 24/7 during the spring months with this new cool Nike Air streetwear collection. The Air streetwear features fleece products that will keep you comfortable during the spring months, while you can combine it with cool Air Max sneaker and a waistpack. 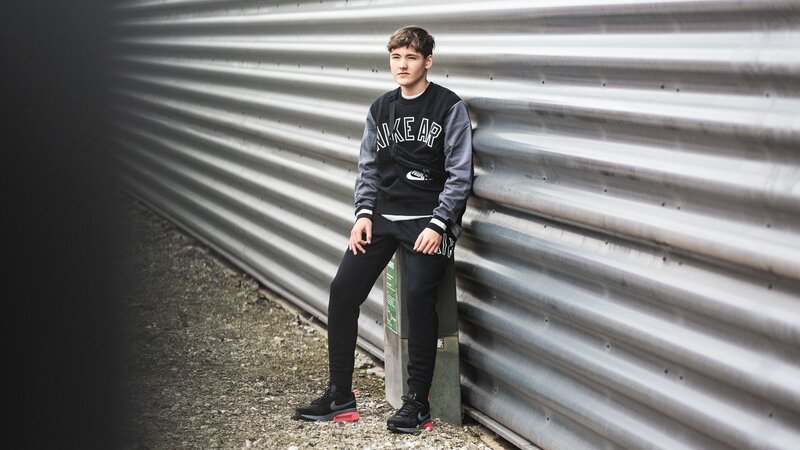 The Air collection makes you able to show your football style both on and off the pitch, as you can wear some of the cool T-shirt for a casual kickabout with your friends and afterwards take the comfortable sweatshirt and training trousers on. Now let’s take a closer look at the cool products, which comes wit ha cool retro design. 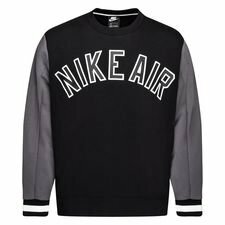 The sweatshirt comes with a cool black design and greyish sleeves, while the collar and sleeves comes with nice baseball-like cuffs and collar. 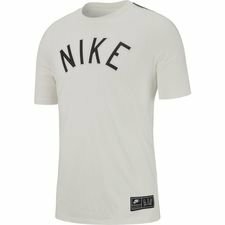 The Nike Air brandings is placed on the chest and on the back, that authenticates your look. 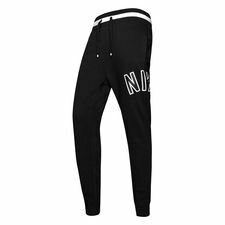 The training trousers comes with the same black colour, while the ‘Nike’ is written in a cool way on the pants, matching the trousers to the sweatshirt. 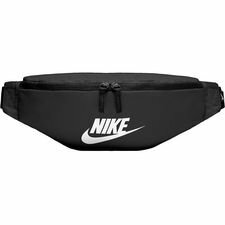 Nike has also added a waistpack, which is become highly popular again, and can be used in different ways. You can strap it around your waist, or across your chest, which gives you a sporty look, while making you able to store your valuables secure. 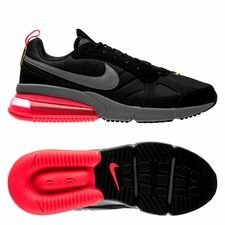 To complete the look, Nike has added a fresh pair of Nike Air Max 270 Futura, which comes with a similar black upper and a cool pink Air Max Unit in the heel, that offers you a superior comfort. The Air Max 270 futures takes its inspiration from the iconic Air Max 180 and Air Max 93 sneakers, which will take your Air style to the next level. 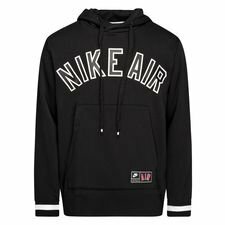 Get your Nike Air streetwear look right here.